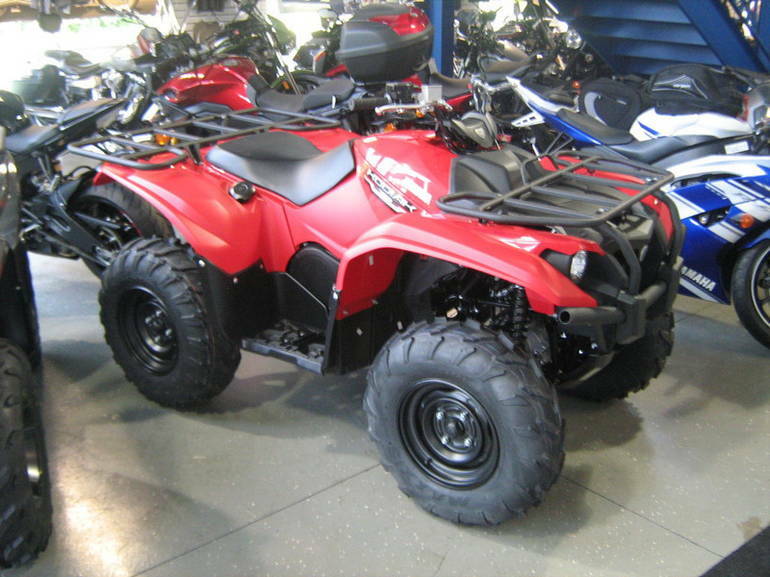 2016 Yamaha Kodiak 700, In stock!! 2016 Yamaha Kodiak 700 THE UNMATCHED BEAR ESSENTIALS The Kodiak 700 sets the standard with comfort and reliability to tackle tough jobs and shoulder its share of the load during those long days spent in the field or on the trail. Features May Include: High-Tech Engine, Built for the Real World The 2016 Kodiak 700 has an all-new 708cc, 4-valve, fuel-injected engine with optimized torque, power delivery and engine character ideal for smooth, quiet operation all day long. Ultramatic® The Industry s Most Durable CVT Transmission Kodiak 700 s Ultramatic® transmission features a gated shifter, dual-range (Hi/Lo) drive plus reverse gear and is the most advanced drive system available plus, the gear ratio and Kodiak-specific CVT settings are designed to lower engine RPM and provide a smooth, easy-to-use power character. An automatic centrifugal clutch maintains constant belt tension for reduced belt wear and a sprag clutch provides natural all-wheel engine braking. Compact, Comfortable Chassis The Kodiak 700 features a compact and comfortable new chassis with fully independent suspension, exclusively-designed 25-inch Maxxis® tires and wide arc A-arms providing optimum terrainability, comfort and handling. Sharp Styling The Kodiak 700 s styling features bright halogen headlights, large storage compartments and large-diameter front and rear racks with class-leading load capacity. Work-Ready Tow Capacity The 2016 Kodiak 700 has an all-new DOHC 708cc, 4-valve, fuel-injected engine with optimized torque, power delivery and engine character ideal for smooth, quiet operation all day long. 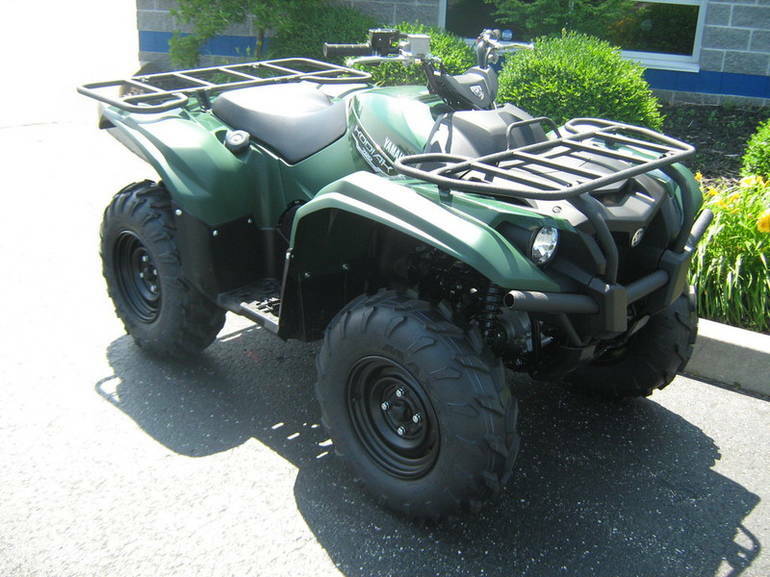 All Yamaha pictures are kind of Yamaha HD motorcycles picture was taken, including motor fuel gauge, engine, engine mounts, tires, fuel tank, the car handles, lights and so on, 2016 Yamaha Kodiak 700 full-screen viewing,2016 Yamaha Motorcycles today Price: $6,699 .